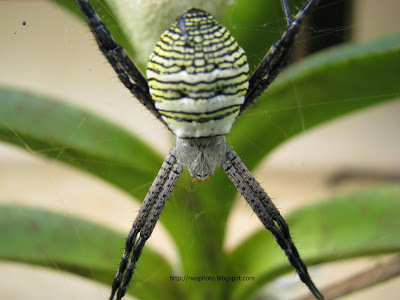 Photos of tropical butterfly from either the Pieridae or Riodinidae family. Exact genus is unknown. 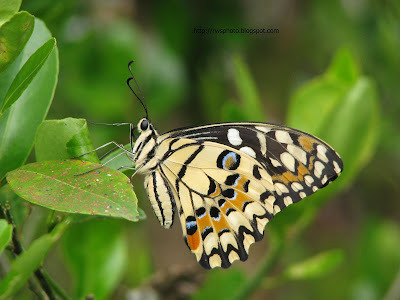 The butterfly species is cream in colour with occasional orange patches and a few pansy eyes. 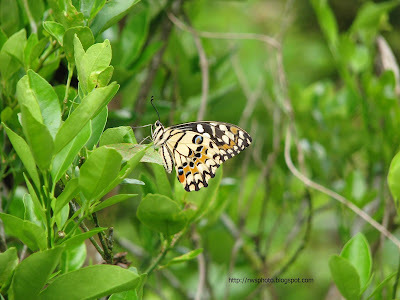 The striking element of this butterfly is it's thorax and abdomen which has black horizontal stripes. Closer shot of a tropical butterfly. How tropical butterfly look from far. A sea view from the Marina Court Apartment. Nice view, nice rental. 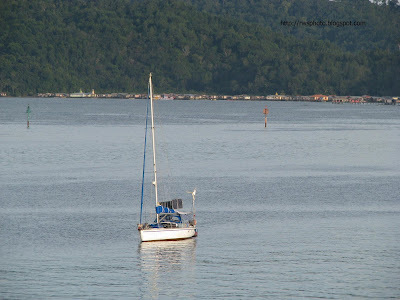 Back to the photo, a lone yacht anchoring at Likas Bay (Kota Kinabalu waterfront). At the background is the Kampung Air (or water village) at Pulau Gaya. Click photo for enlarge image. If you view the large size image, you will actually see the yacht installed with solar panels. I guessed they need the power for night lighting. 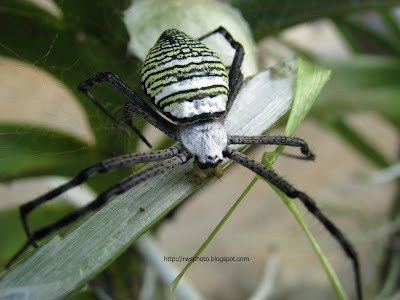 This is the third series on tropical locust. 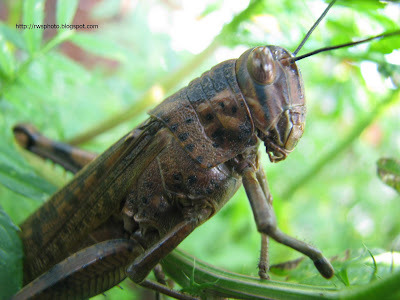 It's a giant black and brown locust measuring over six inches from tip of its feelers to tip of its tail. 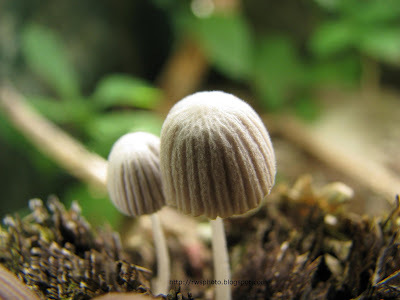 The photo subject was captured at Kinabalu Pine Resort, Kundasang, Sabah. 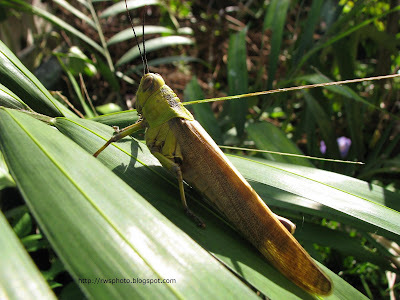 This is the second series on tropical locust, but not just locust, it's a giant locust measuring over six inches from tip of its feelers to tip of its tail. It's take me two attempts to photograph this locust (which happen to linger at my backyard). My first attempt to photograph failed when it flew away on my first shot. 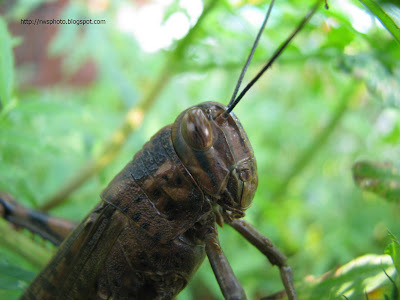 Macro shot of a giant locust, #1 - Overall shot. Close up shot of a giant locust, #2 - Shoulder shot. Zero macro shot on a giant locust, #3 - Head shot. 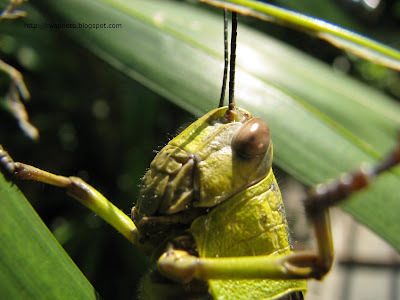 Close up shot of a green locust with black top. 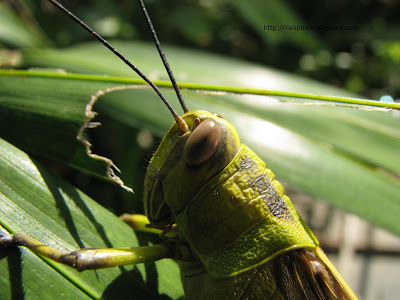 The locust is green because it is in tropical Borneo. In other places, it would be brownish (desert locust). And yes, tropical locust doesn't ravage crops (swarming of crops) like in Africa or Europe because over here, we have plenty of leaves. 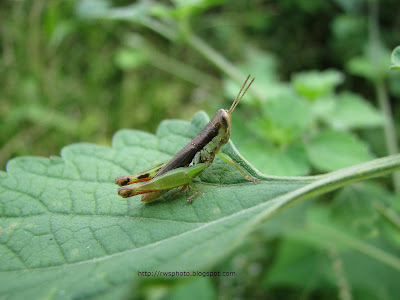 Locust belong to the insect family Acrididae. 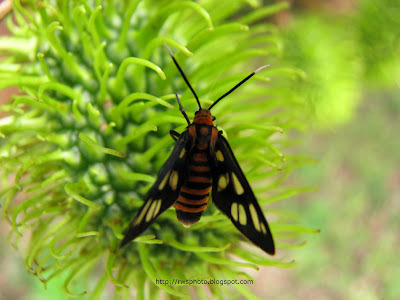 Macro photos of a moth on a rambutan fruit. 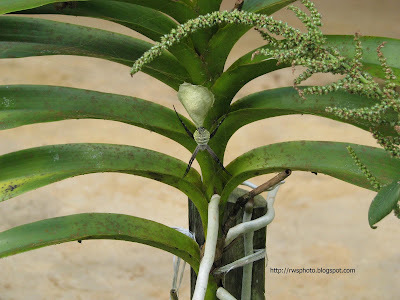 May not be the best shot BUT it the only best shot I have because, the rambutan fruit swayed due to a gentle breeze. And after the second shot, the moth flew away. Enjoy looking at the rambutan tentacles (the hairs). 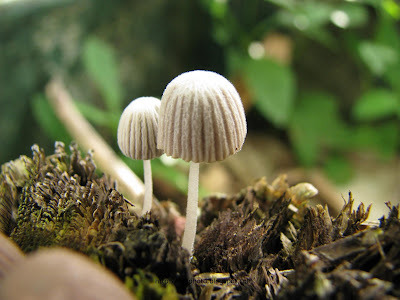 Photos of tiny umbrella mushrooms from tropical Borneo. 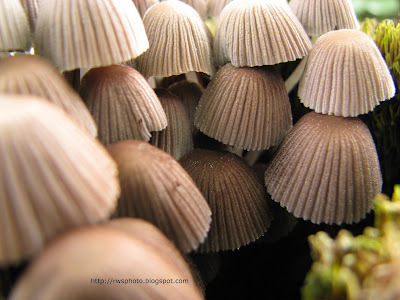 On the other hand, those mushrooms look like upside down cupcakes. 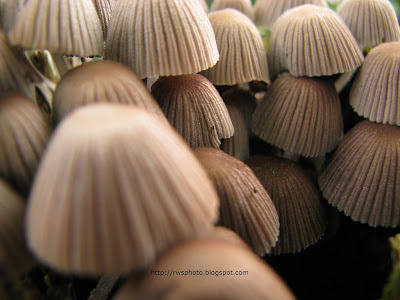 The first photo is an isolated pair of umbrella mushrooms which is part of a bigger clusters (see photo #3 and #4).